Food in Soc Trang has the interference of many cultures, which makes the uniqueness in its culinary art. Noodle soup in Soc Trang is the perfect mixture between the essence of nature and local ingredients, which makes unforgettable taste. Because the broth of this food is cooked in a special method, it is very clear without any scurf. The noodle is boiled fast before being put in a bowl, then the chef adds shrimp, fish, grilled pork and soup into it. 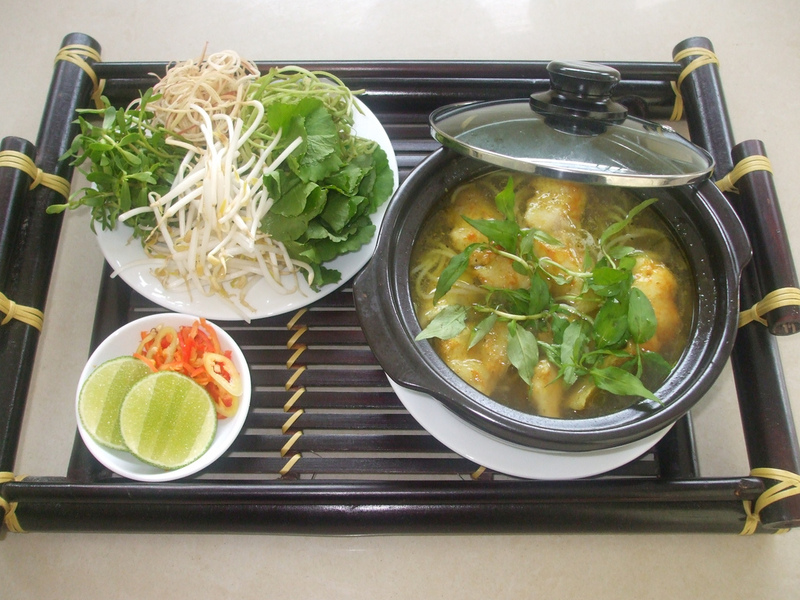 This noodle soup is eaten with many kinds of fresh vegetables such as banana flower, basil, bean sprout and so on. Besides, tourists can add lemon and pepper to enjoy more delicious one. 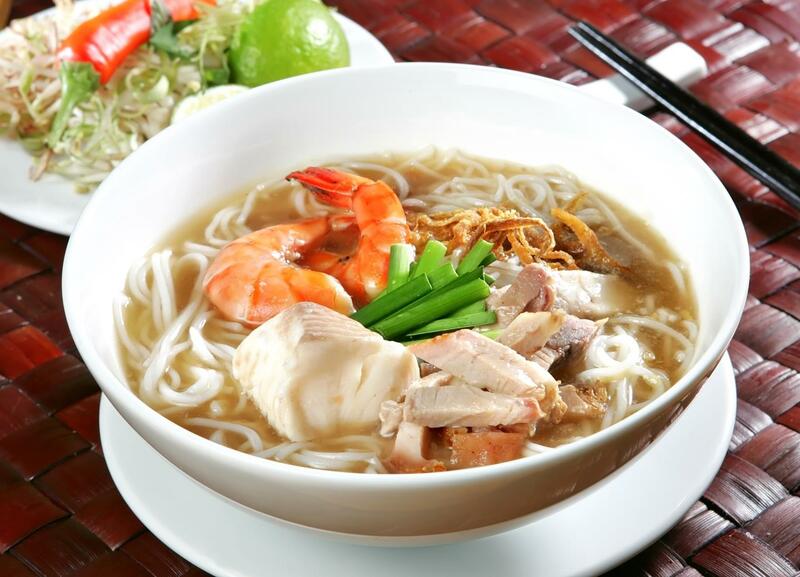 Fish noodle in Kien Giang is the modest name which local people use to call this special food. This kind of noodle is very popular but if you want to enjoy completely, you have to come to Rach Gia, Kien Giang. The most well-known restaurant for this food is opposite to Economics and Technique College on the Mac Cuu street. If you want to try a bowl of fish noodle here, remember that this restaurant only opens from the evening. The most important thing is the soup. This soup is cooked from fish, pig tibia and some spices for it to be more delicious. Bean sprouts, laksa leaves, lettuce are things which cannot be shorted. Bac Lieu attracts tourists by not only the mythical stories about 2 rich dandies but also the special food in this destination. And one of the most famous food here is spicy beef noodle. If you have chance to enjoy this food, you will be impressed strongly. 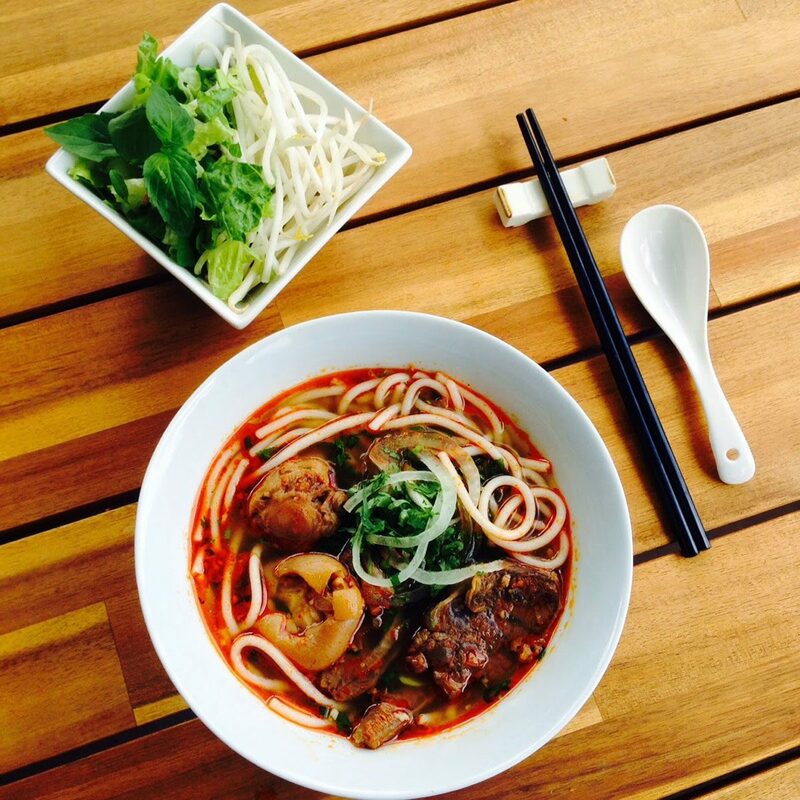 Spicy beef noodle in Bac Lieu is different from that in other place. It consists of beef and satay rather than sauce in Hue. The way how to cook this food sounds simply but it is wrong if you think that everyone can cook perfectly. Every restaurants has its own methods which outsiders cannot know. Spicy beef noodle in Bac Lieu is eaten with basil, pepper and lemon slice. When eating, tourists pick some fresh vegetables and put into the noodle to make the food more delicious. Furthermore, the spices will make your new day cheery and energetic. This is the chastity food in this local destination. However, in all area of Mekong delta, only Phu Da is the place whose source of seafood is more diverse than those in others. Snails are several from April to July in lunar calendar, but the fattest and most delicious snails only can found in May. Because farmers in Ben Tre plan many coconut trees, the flour of pancake is always mixed with coconut milk. 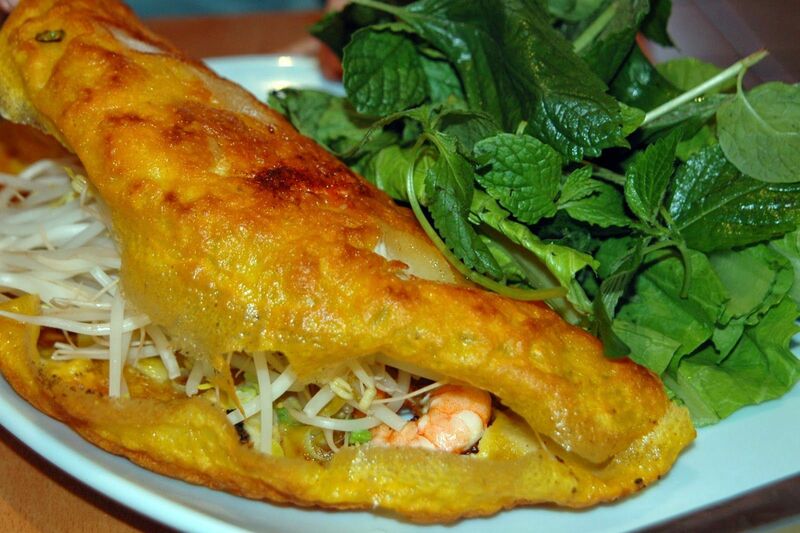 This is the reason why the pancakes in Ben Tre aren’t dry when being fried as those in other places. The snails is spread smoothly with bean roots and bean sprouts for the pancakes to be sweeter and not be greasy. Before making snail pancakes, people have to drench the snails for a long time and then boil them with stalks lemongrass. Putting fresh vegetables onto left hand, use the right hand to pick a piece of pancake and then put on the vegetables, roll and dip them into sauce and enjoy. The sweet snails and the crunchy pancake skin will make tourists be starving whenever thinking about. The special food in Mekong delta really puts a deep impression on tourists, which the local people feel proud very much. Moreover, this is one of the reasons why visitors who have ever come to this destination always want to return.